Pretty and private! 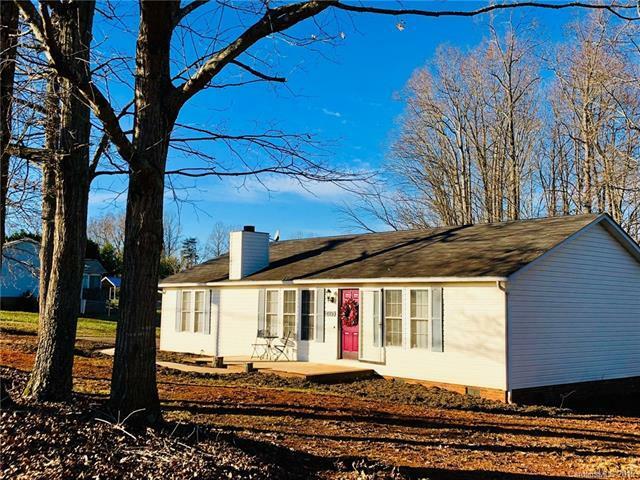 Don't miss this lovely modular ranch home situated on .90 ac in desirable Western Iredell County. City conveniences nearby and country views with a rural feel make this location perfect for anyone who is looking to escape the busyness of the city. This tidy home has new paint, carpeting;the front landscaping is currently being upgraded. Home has a split bedroom plan with an open concept style layout. You will love the wood burning fireplace with slate surround - the soaring vaulted ceilings make this home feel even more welcoming. Outside is a large deck that is accessed from dining room. The large 12x24 storage building is great to store all your yard equipment and more! The back yard is large for pets and playtime. Please see plat, note that a large portion of the rear lot is wooded with a natural spring running through it. Low county taxes & USDA eligibility make this home a winner! This home is only 5 minutes to grocery and 10 minutes to I-77/40 interchange.